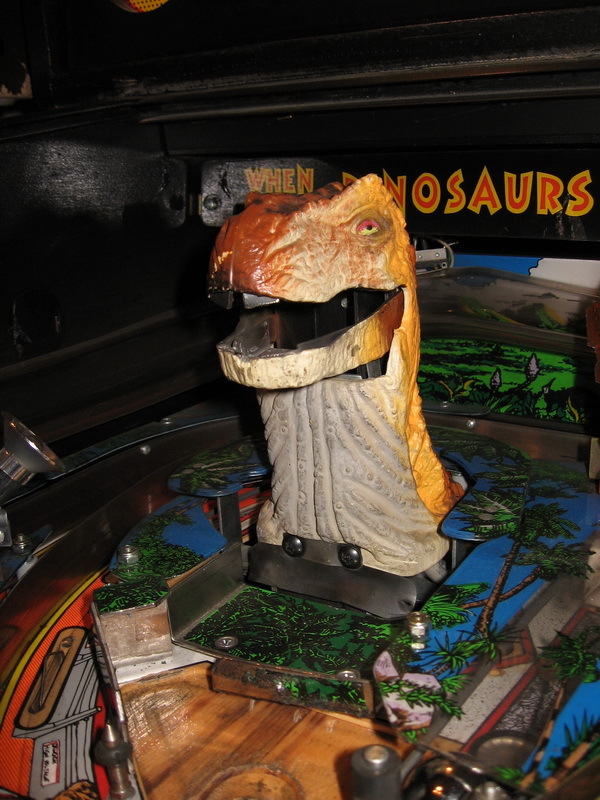 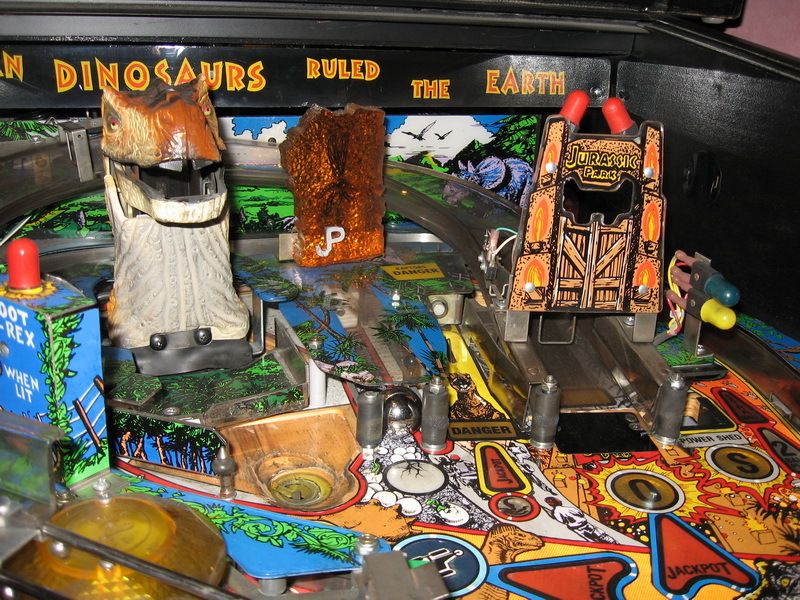 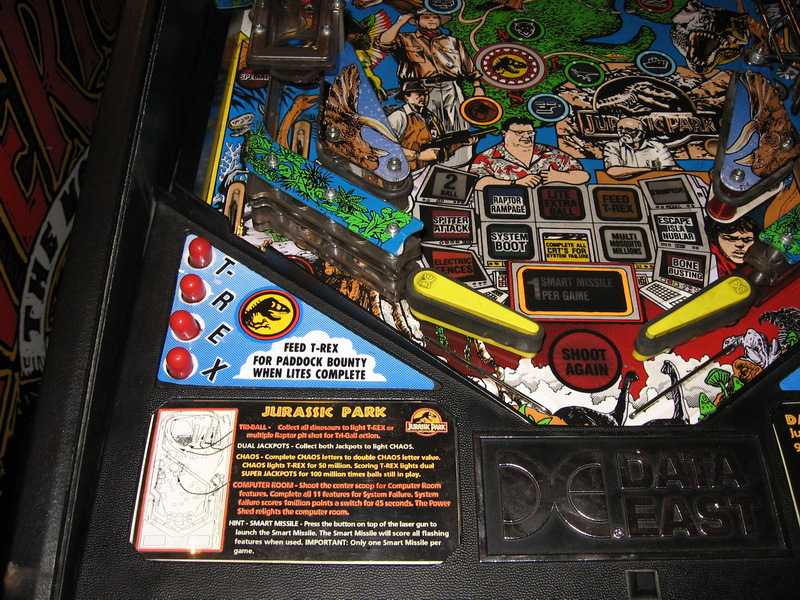 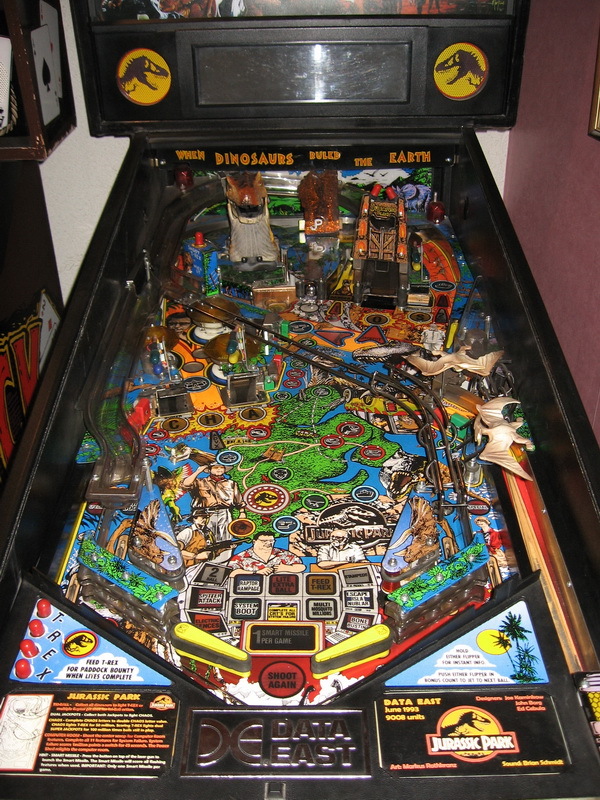 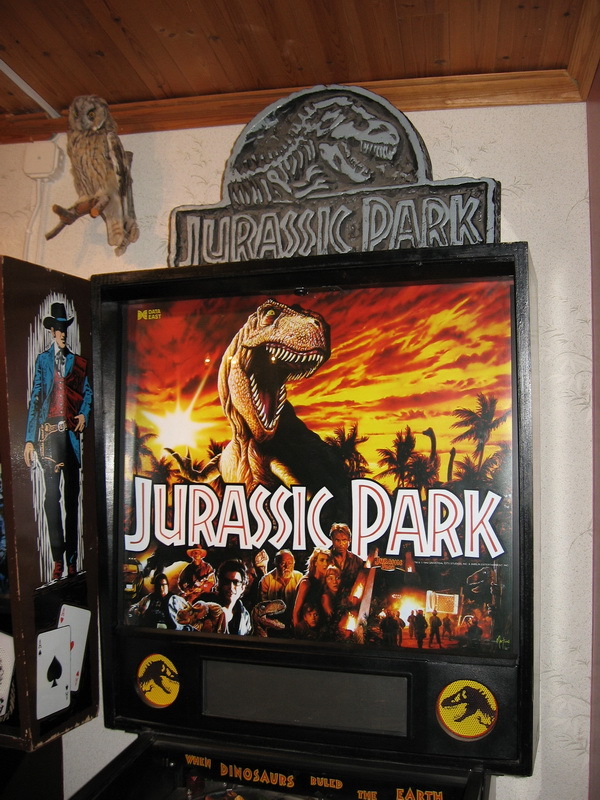 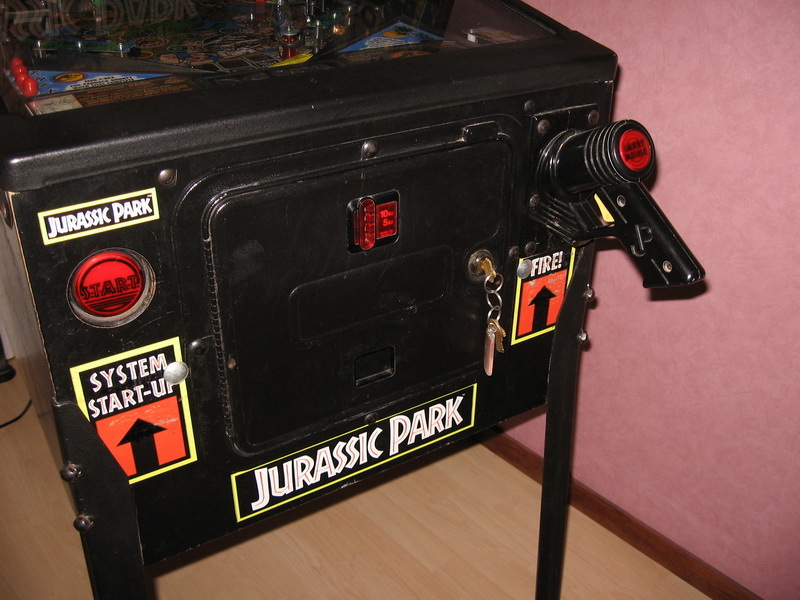 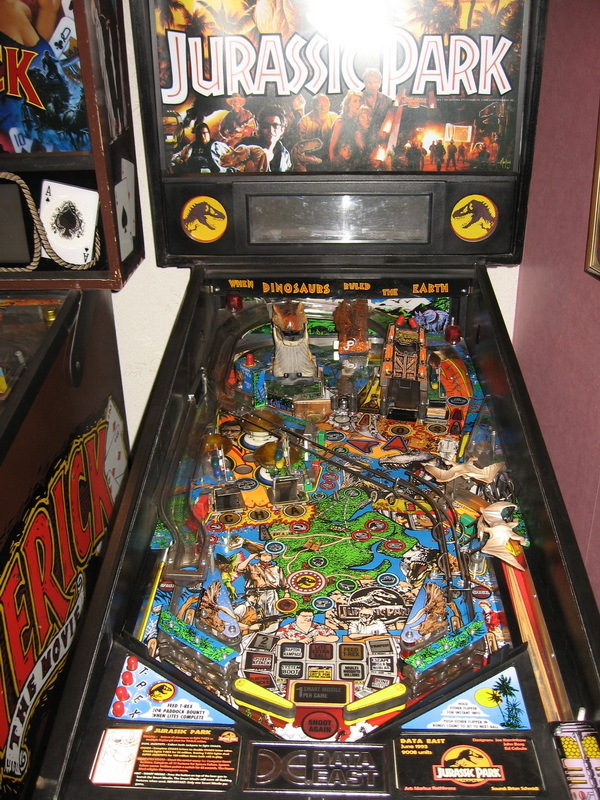 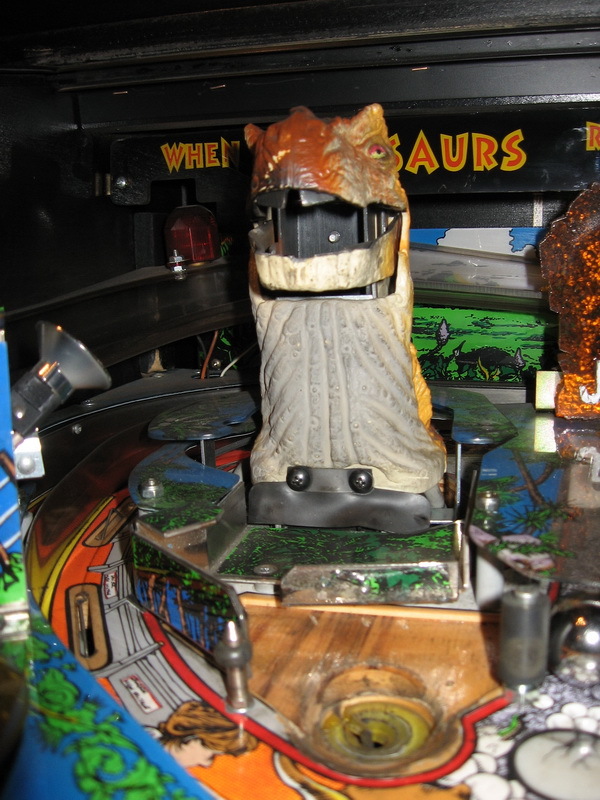 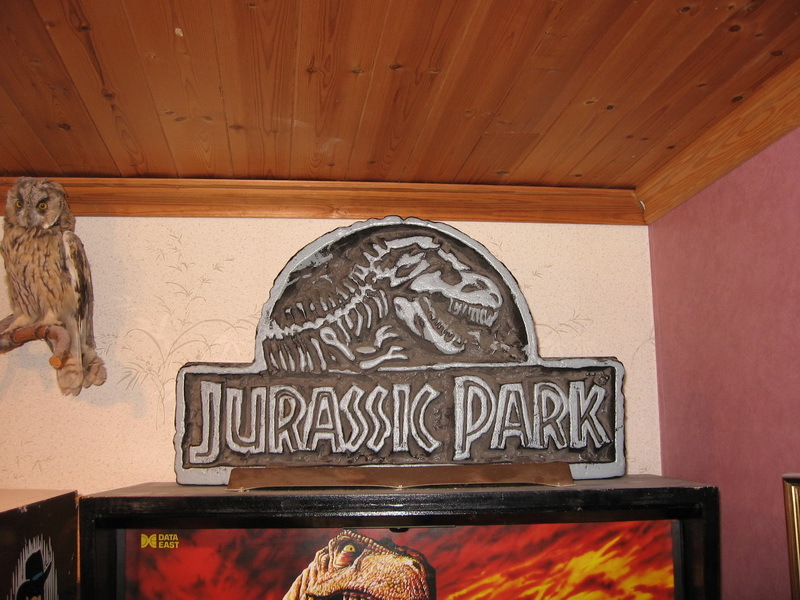 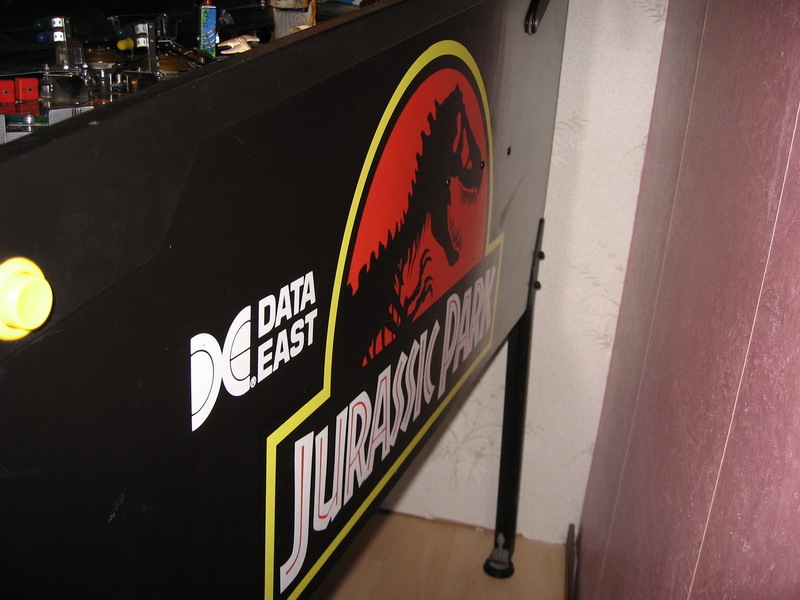 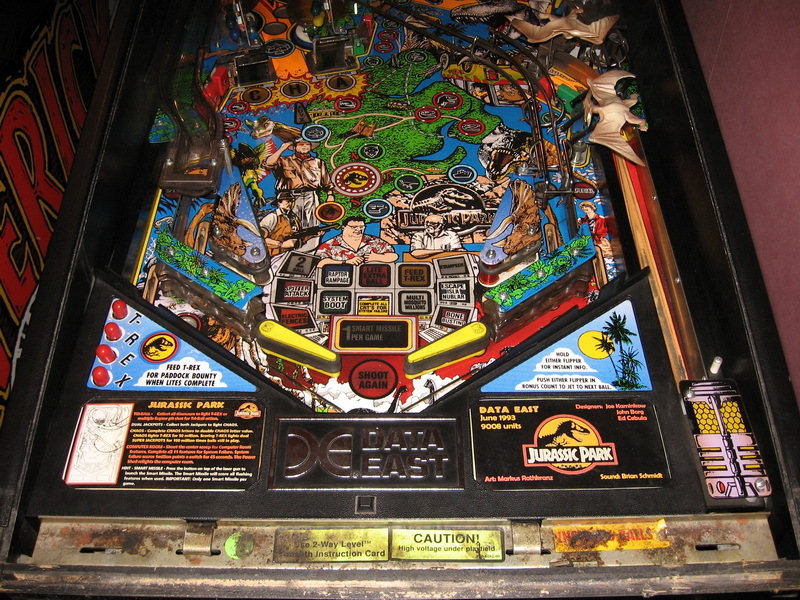 Notable Features: Flippers (3), Pop bumpers (3), Multiball (6), Captive ball, Autoplunger. 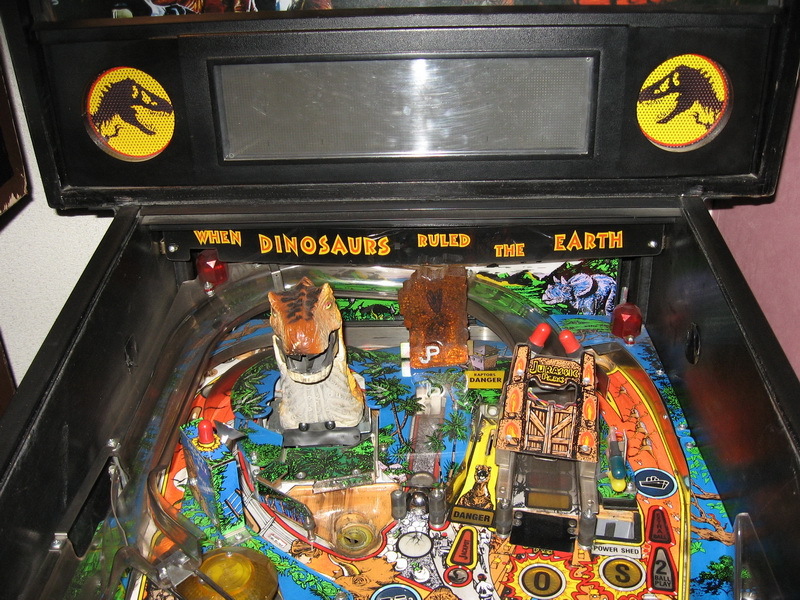 Toys: Dinosaur eats ball. 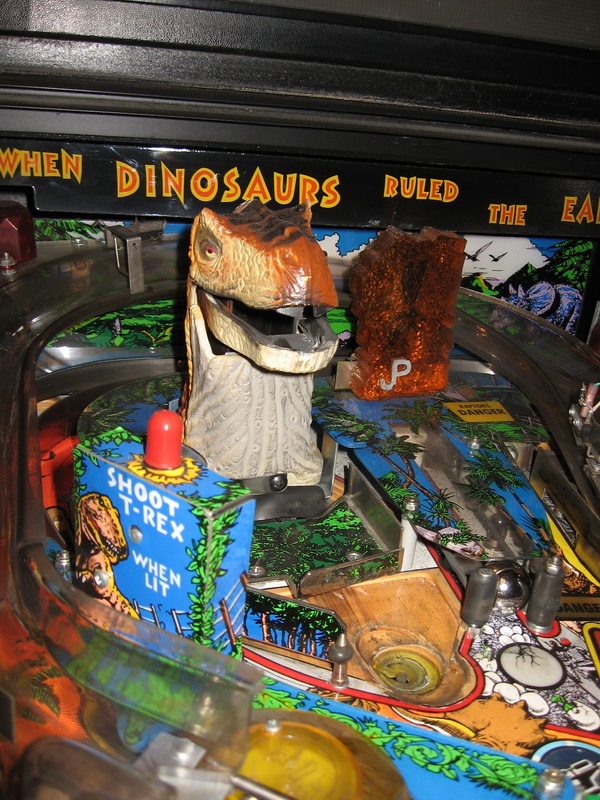 Raptor kicks. 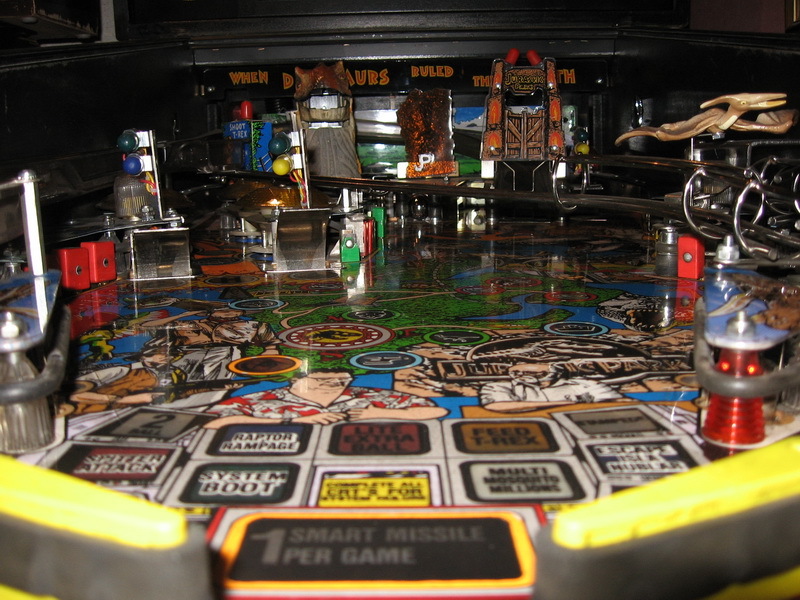 Notes: ”Smart Missile” button on gun trigger scored all lit playfield features…an homage to the same feature on the Defender video game.